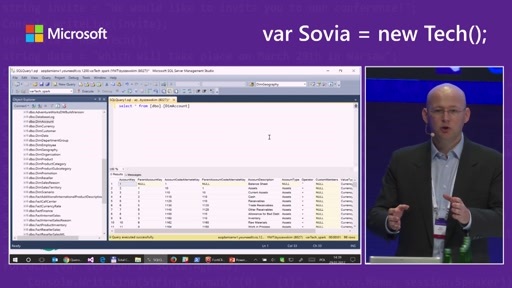 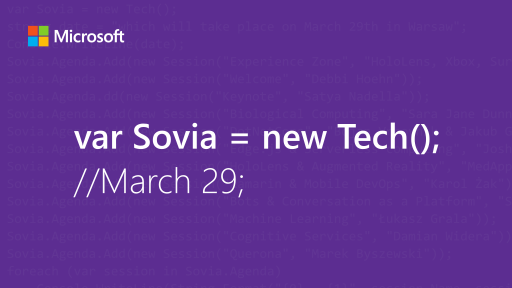 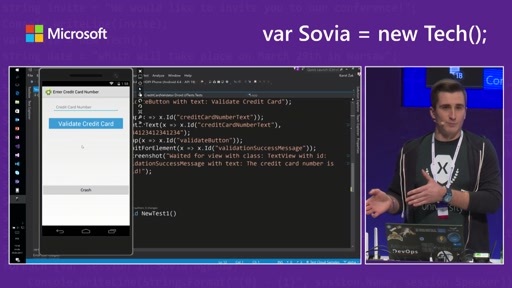 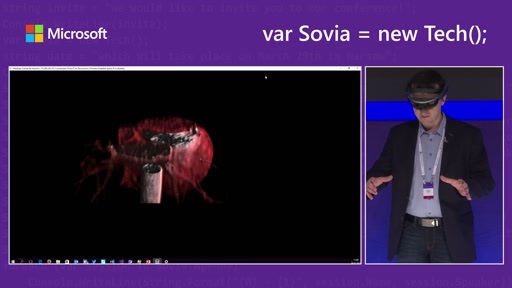 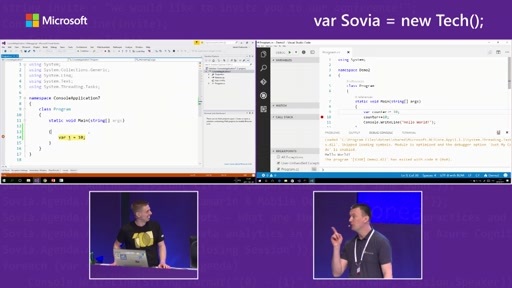 var Sovia = new Tech(); is a Microsoft developer conference that showcases newest dev technologies and solutions. 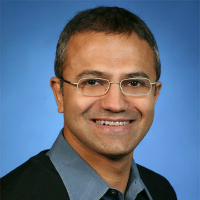 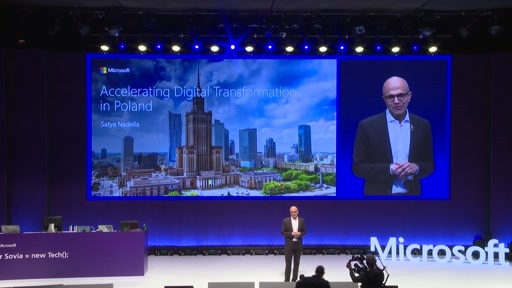 The event keynote was delivered by Satya Nadella, Chief Executive Officer of Microsoft. 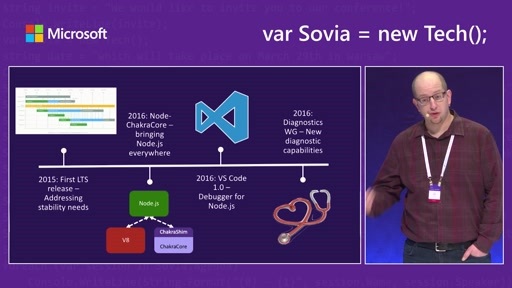 var Sovia = new Tech(); puts spotlight on Mixed Reality with HoloLens, Azure, Biological Computing, .NET Core, Bots and Conversation as a Platform, Cognitive Services, Xamarin cross-platform development, Mobile DevOps, Node.js and Serverless Computing. 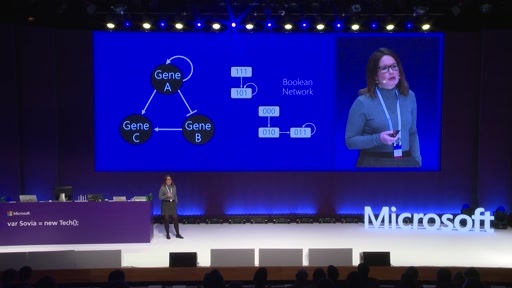 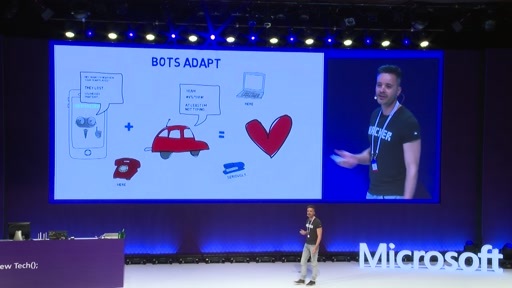 Watch recorded sessions to hear from speakers representing Microsoft, Microsoft AI & Research, Microsoft's ISV Partners and MVP Community.